What inspired you in 2016? 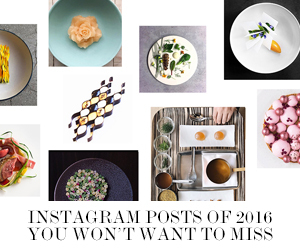 Here’s a look back at our year in beautiful recipes from inspiring chefs all over the world. No introduction is necessary for chef Gaggan Anand. 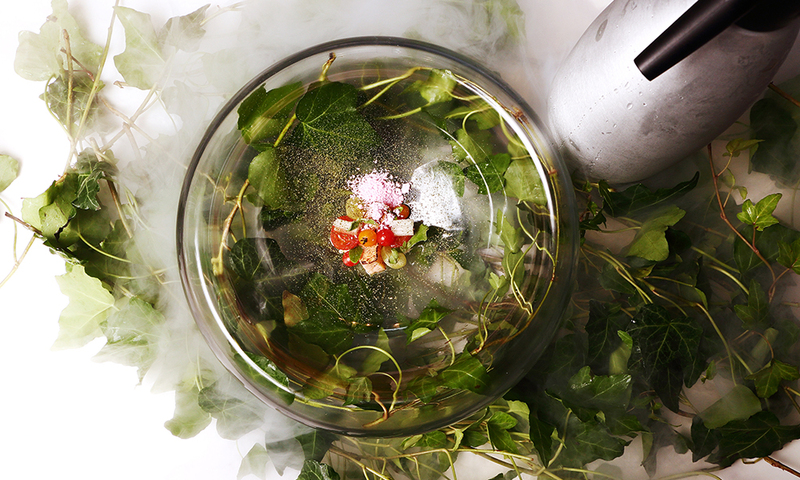 Since its debut in 2010, his restaurant Gaggan has quickly climbed up in ratings on an international scale. With roots stemming from the kitchens of elBulli, he offers Indian cuisine unlike any you’ve ever tried or even imagined before, in Bangkok, Thailand. 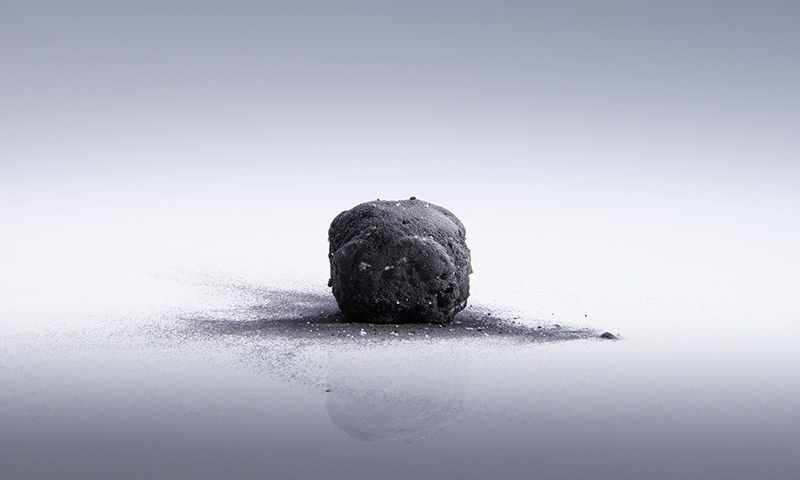 Step inside the mind of Gaggan just for a moment with his recipe for Fish Charcoal. Bringing together Japanese and French cooking styles using Korean ingredients, chef Tae-Hwan Ryu of Ryunique offers a very unique hybrid of cuisine. 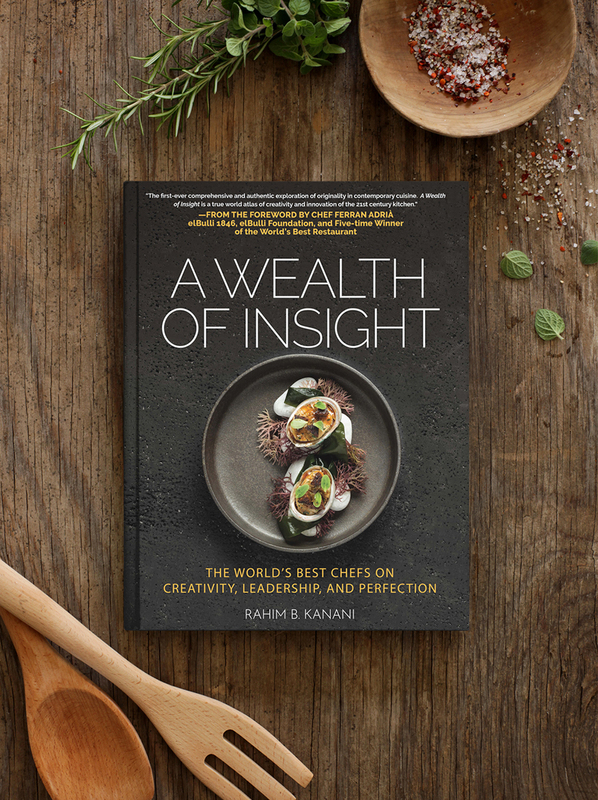 His inspiration stems from the eight years he spent traveling and working in Michelin star restaurants around the world, including Japan, Spain, Italy, Australia, and the UK. Today, we bring you a dish inspired by his experience in Spain: Oriental Melon Soup H2CO3. 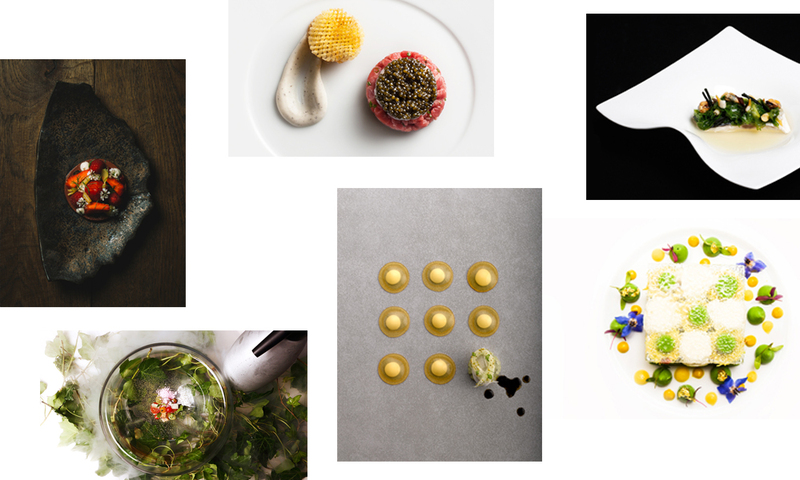 Little introduction is necessary for chef and brilliant restaurateur Jean-Georges Vongerichten and his eponymous restaurant. 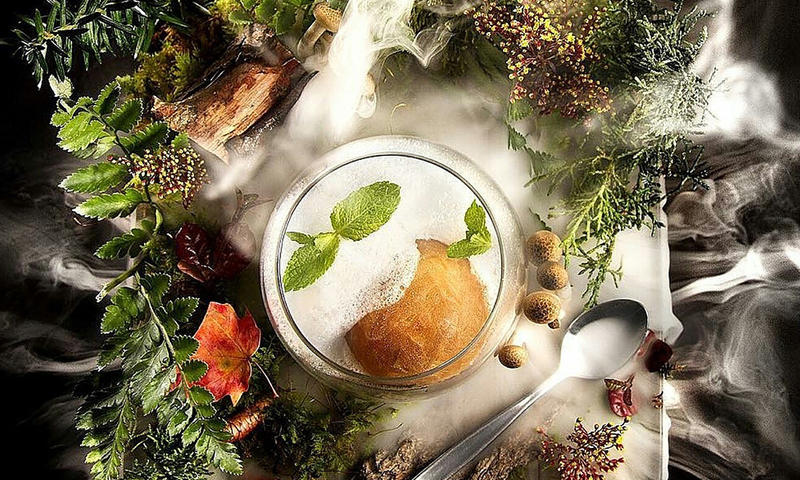 Located near Central Park, in NYC, restaurant Jean-Georges is just one of over 15 restaurants under his name and is widely considered the star of his culinary empire. 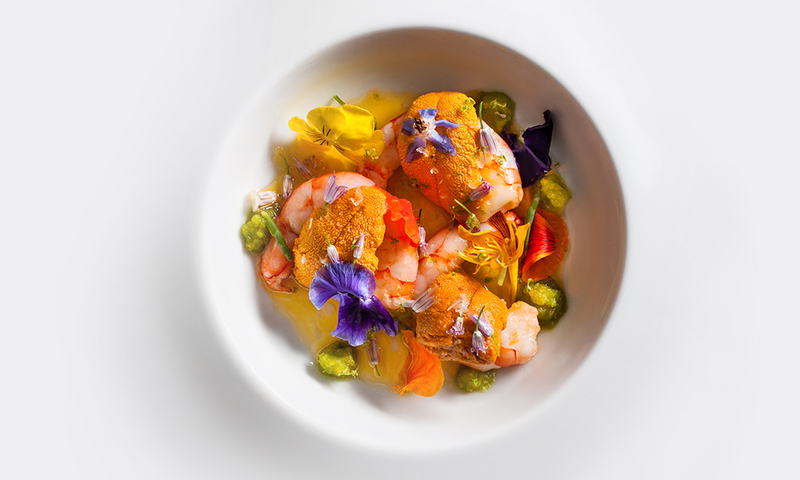 Here, we have a recipe for Maine Ruby Shrimp and Sea Urchin by the master chef. 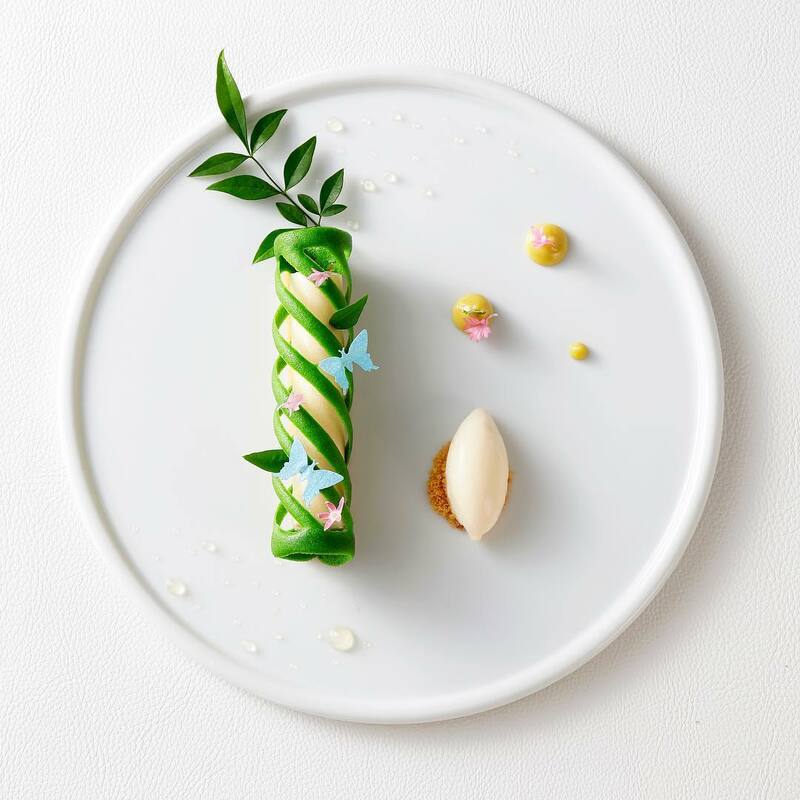 Since reopening in just 2012 under chef José Avillez, Belcanto is the first restaurant to win 2 Michelin stars in Lisbon, Portugal. 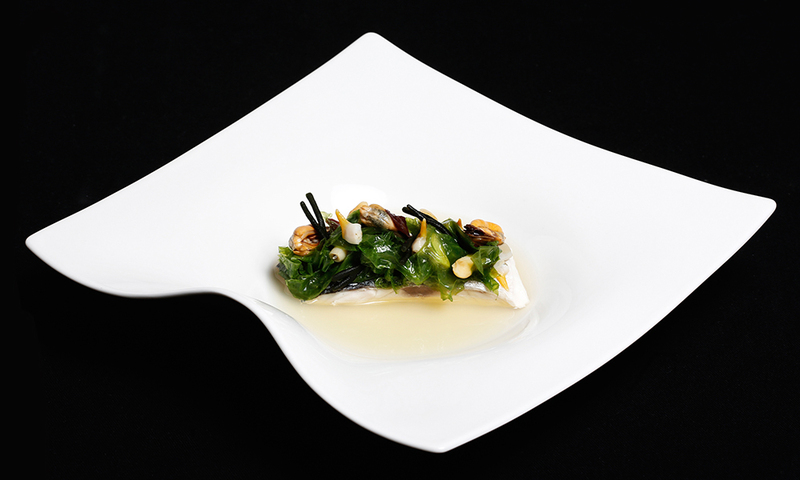 Staying true to and revisiting the roots of Portuguese cuisine, chef Avillez shares with us one of the most emblematic dishes of his career – “Dip in the Sea” with sea bass, seaweed, and bivalves (mollusks). Tucked away inside of L’Hôtel in the heart of the Left Bank of Paris sits Michelin starred Le Restaurant, headed by chef Julien Montbabut. 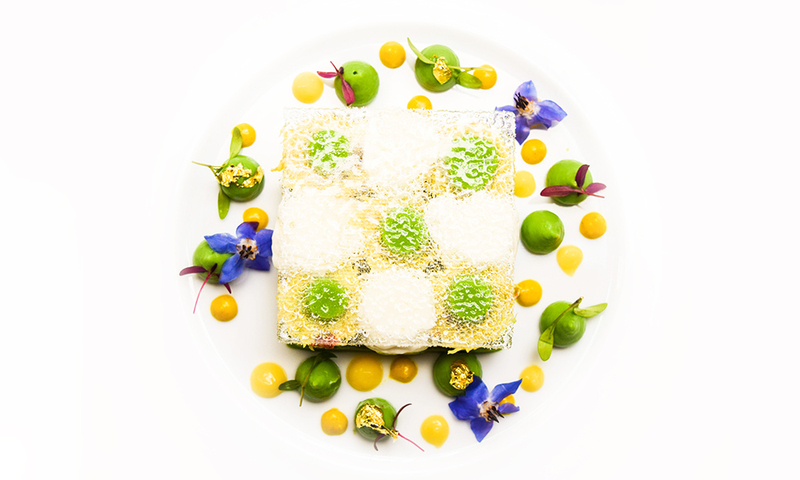 Brought to you by the chef himself, here we have the recipe for his Brittany Crab & Yuzu dish – the most popular dish on the menu. 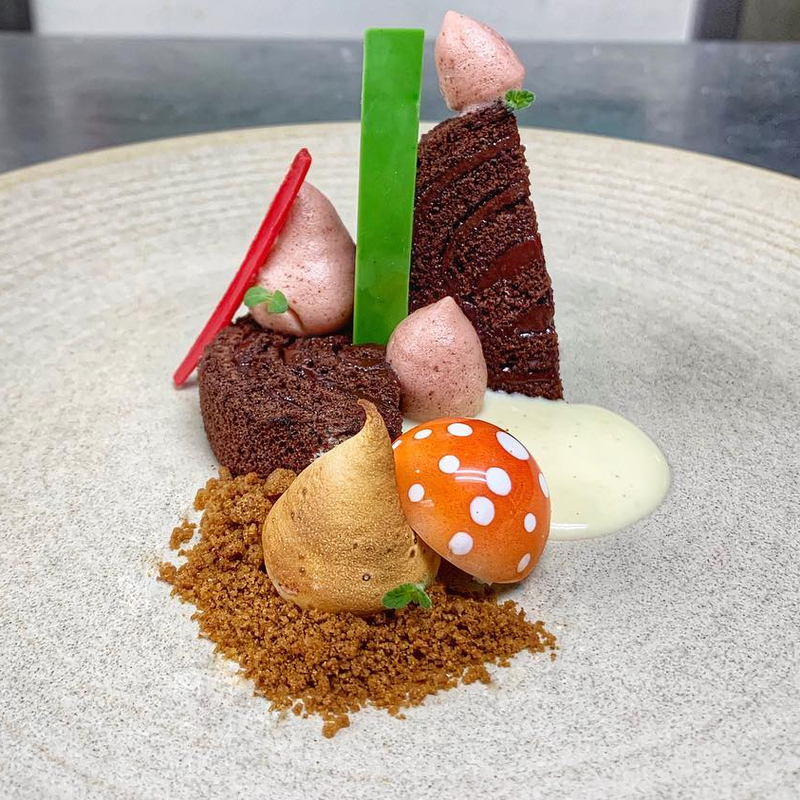 Culinary genius André Chiang reaches new levels of exploration and experimentation at his Singapore establishment, Restaurant ANDRE. 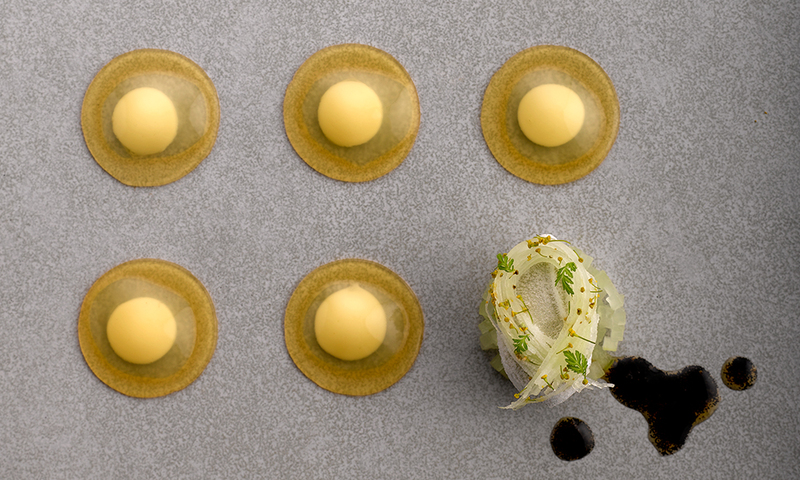 Tying together his lifelong journey, chef Chiang beautifully serves a cuisine that is “sophisticated and filled with emotion – elegant and simple.” Here we have his Vanilla Oil, Lemongrass, Bitter Almond Curd recipe from his new cookbook, Octaphilosophy. One of the most well-known names in the industry, Le Bernardin has held on to four stars from The New York Times, has 3 Michelin stars, and stands at No.24 of the World’s 50 Best Restaurants today. 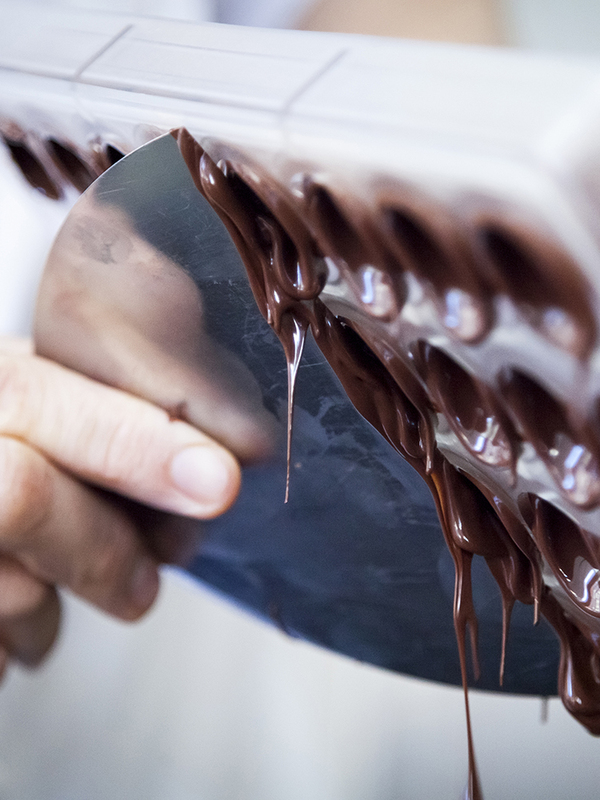 Heading the kitchen for over 20 years now, chef Eric Ripert has pursued and achieved consitency. 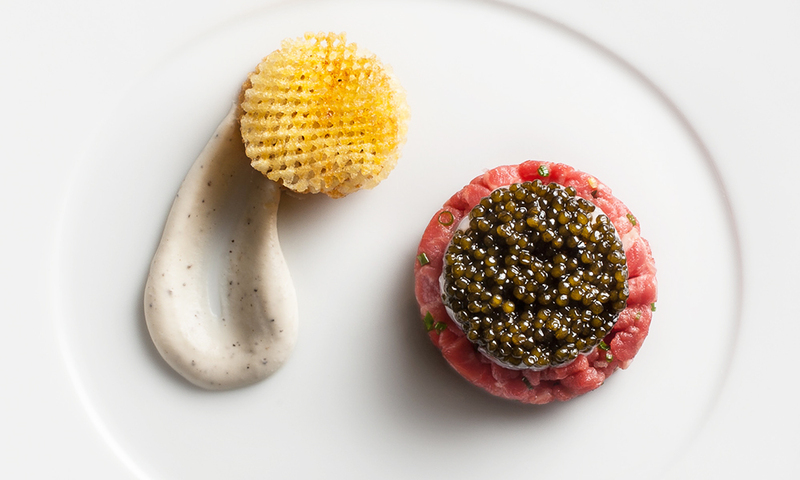 Here we have chef Ripert’s recipe for Caviar-Wagyu. 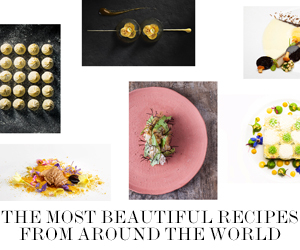 Earlier this year, chefs Paulo Airaudo of La Bottega and Matt Lambert of The Musket Room came together in Geneva for a remarkable collaboration dinner. 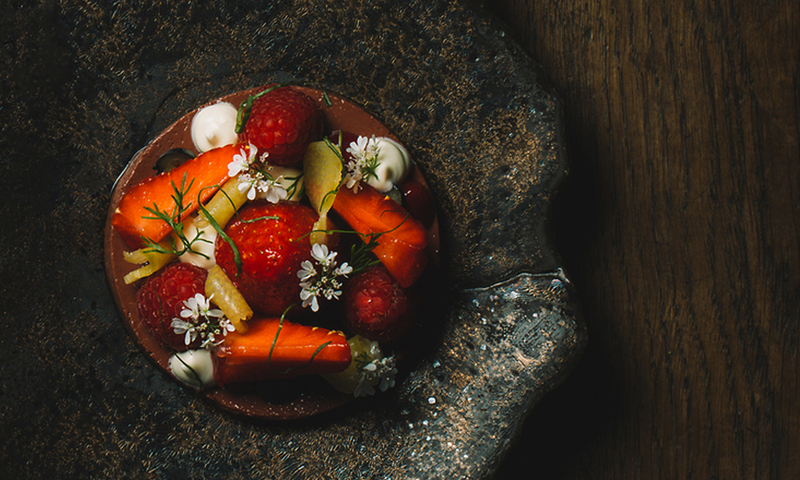 Here is one of Matt Lambert’s dishes from the menu – a dessert of pigs blood and berries. A taquito is a common Mexican dish that’s essentially a tortilla rolled with a type of filling and fried. 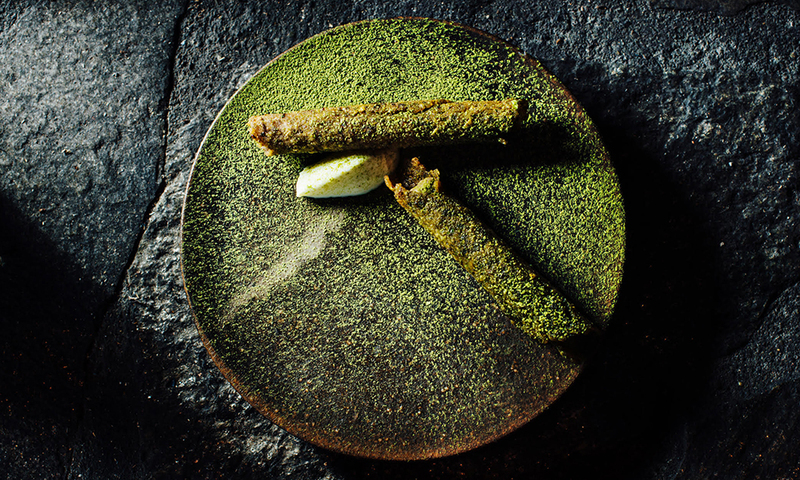 Courtesy of chef Brady Williams of Seattle’s historic Canlis restaurant and recipe website GoWhisk, we’ve got our hands on the chef’s elevated version – Buckwheat Taquito with Chiquito Bean Purée and Green Garlic Powder. 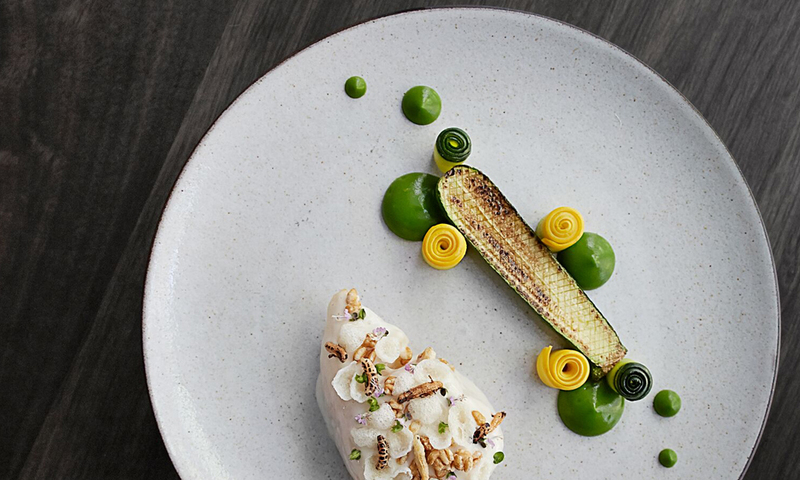 Another dish from his collaboration with Diego Muñoz, here is chef Matt Lambert of The Musket Room, NYC’s recipe for Cod, Zucchini, and Grains.